There exists in today's world a false dichotomy between conservatives and those who care about the state of our environment. I propose a solution for this unneeded divide, but it will require some hard lessons on both sides of the issue. The first important thing to understand is that conservatives aren't against conservationism. Conservatives, especially Christian conservatives, should be in favor of being good stewards of the world in which we live. One of the main reasons conservatives resist environmental regulations is that they are marketed poorly. They are presented as necessary action to save the planet from humans. Nobody likes being painted as the villain. If initiatives were presented as opportunities for people to be good stewards, wise managers of the world we have been given, people from all perspectives would likely respond more positively. Many conservatives (especially Christians) are in favor of good stewardship. They want to be responsible managers of the world God has given them. They want to preserve its blessings for their children many generations beyond them. 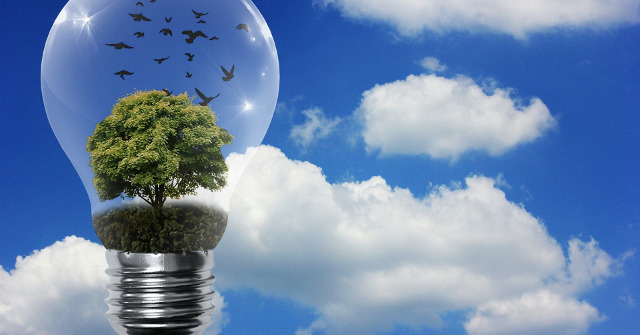 Environmental initiatives can get more traction by being legitimately connected to a stewardship value. For example, would any conservative oppose a plan that improved the efficiency of streetlights and reduced their energy consumption by using sensors to dim each lamp when the moon is providing adequate illumination to the area it served? Why would they? Doing so does not step on anyone's rights, and lower energy use decreases illumination costs. Unfortunately, this effort is likely to fail, because it requires facing some tough facts I'm not sure the environmental movement is willing to face. First, a major reason conservatives oppose environmental restrictions is that they almost always come in the form of an overreaching government expansion based on a worldview that considers all progress and technology to be detrimental to a deified planet, a perspective not aligned with either our founding principles as a nation or the philosophies of most conservatives. Second, this effort requires environmentalists to limit their push for action to initiatives that fit the model of stewardship. And stewardship does not match what environmentalists envision for the future of humanity. Because of this mismatch in priorities, many environmentalists don't have a workable grasp of what stewardship is and how it meshes with their own priorities. If stewardship initiatives are presented on their own, without non-stewardship measures attached to them, most conservatives would support them. But conservatives need to keep in mind that we do have a responsibility to be accountable managers of this planet God has given us. If we can focus on the areas of agreement instead of demonizing those who don't agree with us entirely, we could improve the efficiency of our society without harming the freedoms we have and work so hard to maintain.